Rootstock has partnered with a number of best-of-breed companies that extend Rootstock’s Cloud ERP solutions and also the ability to sell and service our solutions in other regions around the world. Click on a partner logo to read more about them below. Rootstock has teamed with a world wide network of accomplished implementation partners. This means you have an extensive number of seasoned manufacturing and distribution experts working with you to insure your success. ProCore Resource Group is a Certified Silver Salesforce partner with over 500 successful implementations. We leverage our “process first” implementation methodology to ensure that we understand your business first, and then recommend the right solution to optimize your investment in new technology. By recognizing that PROcess is the CORE of your business – we make sure that we’re making improvements from the initial concept all the way through to final creation. Our consulting services include process design, project management, implementation, customized training and support after the deployment. Our consultants are certified as Salesforce.com Architects and Developers with a deep understanding of the Salesforce platform. 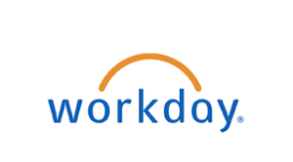 Let us help you move your business ahead with Salesforce and Rootstock cloud ERP solutions. Big Bang ERP is a boutique consulting firm that helps businesses optimize and streamline their processes by implementing cloud ERPs, CRMs, MRPs, and ITSM systems, and industry specific software. Their highly skilled team of experts works hand-in-hand with organizations to achieve exceptional business improvements, from manufacturing, distribution and supply chain solutions all the way to payroll and marketing endeavours, so that companies can focus on what they do best rather than on repetitive manual processes, spreadsheet management and other non-value-added processes. Big Bang ERP’s team of consultants is dedicated to helping businesses achieve their goals with smart, effective, scalable and high-quality cutting-edge cloud solutions that are delivered on time and within scope. Acting as true advisors, they contribute their diverse experiences and in-depth expertise to the success of organizations around the world. IT GuidePoint offer 25 years experience with mid-market manufacturing firms located in the Midwest. Our methodology guides you to plan, fit, and adopt cloud-based ERP solutions on time and within your budget. We are passionate about implementing Rootstock Cloud ERP that runs natively on theforce.com platform. Our key differentiator is implementation teams that consist of manufacturing vertical veterans with multiple, successful ERP implementations that are cross-trained on the Salesforce platform to provide peer to peer guidance on your Cloud ERP journey. Mountain Point is a strategic technology and management consulting firm that focuses exclusively on manufacturing and industrial companies. Specializing in Cloud ERP systems and integration, Mountain Point leverages the power of the Rootstock and Salesforce platforms to extend lean manufacturing principles beyond the shop floor and drive comprehensive digital transformations. NeuNet Consultants has broad experience in Salesforce.com and multiple ERP solutions. We help clients achieve great results from both the Salesforce platform and Rootstock’s ERP solution. Our ERP team of consultants has decades of ERP, Salesforce and financial experience. We will assist in developing, automating and integrating Sales, Marketing Cloud, Pardot, Inventory, Procurement, Manufacturing, CPQ, Fulfillment and accounting in a single, platform solution that meets your specific business requirements. During our implementation process, NeuNet will provide power user training to support your team in owning the final solution. We are there from pre-sales discussions, to system design and implementation, to pilot testing, rollout and ongoing support. We value long term partnerships with our clients. Contact us today and let us help you navigate the ERP implementation process. Based in the Netherlands, Balanced Force provides, supports and deploys Cloud-based ERP and additional apps to the client order-driven manufacturing, projects- and service industry (projects/engineer/configure/assemble/make to order/services). The unique features of the latest generation of solutions offer clients of Balanced Force more value at a lower cost over the entire life cycle. Combining state of the art technology, the latest software concepts, project management and years of experience with ERP implementations in this market, Balanced Force represents a solid partner for now and in the future. Flow Line Integration, headquartered in Lyon, France, is an integrator of information management solutions and a digital transformation partner for its customers offering both ERP and business sector expertise. With Rootstock’s Cloud ERP solutions, Flow Line Integration will help implement, integrate and support customers in France, Switzerland, and Belgium. The company’s core missions are based on a value selling approach providing turn key projects to help customers transform their customer relationships and operations while fostering continual innovation. Flow Line helps companies get the most from their information systems by providing integration, business process, industry and technology expertise. Fluido helps organizations reach their goals and create outstanding customer experiences using Salesforce technology. At the core of their expertise is a deep understanding of Salesforce solutions and customers’ businesses. Fluido will help implement Rootstock Cloud ERP on the Salesforce platform for manufacturers in the Nordic region with expertise in combining data, processes and technology. In the Nordics, Fluido is the only Platinum Consulting Partner for Salesforce and the only authorized training partner. Optingo is your implementation partner for Poland, Germany, Switzerland and Austria for transforming your business using a modern and cost effective cloud ERP solution. Optingo’s experts specialize in bringing together the business critical functionality that you need today with the market trends you will depend on tomorrow into a robust innovative ERP solution that accelerates you journey into the digitally focused marketplace. RootHub IT is a customer-focused consultancy utilizing Rootstock ERP software to enable a client’s journey towards digital transformation. They offer end-to-end business integration solutions and a wide range of products designed to help organisations streamline their overall business process. Headquartered in Wolverhampton in the West Midlands, RootHub IT provides companies in the United Kingdom and Ireland with support for Rootstock’s Cloud ERP software. However, unlike many of their competitors, their people-friendly, flexible business model provides their customers with a personal, physical, continuity of contact and, the passion and integrity to always deliver with the involvement of their top-level management to assure absolute commitment and trust. Based in the Netherlands, Vanenburg Software is an independent software and services organization that delivers process-centric solutions and apps developed on Open techniques that allow organizations to continuously improve their business operations. As a premier Channel Partner of Rootstock Software, Vanenburg represents Rootstock’s cloud-based ERP solutions for manufacturers and distributors in Europe and offers full service and support for European customers. Headquartered in The Netherlands with offices in Hyderabad, India, coServe Solutions covers India, Sri Lanka, Bangladesh, Pakistan (SAARC) the Middle-East and Africa as well as Malaysia and Singapore. The coServe Solutions team posses strong functional and technical expertise in the ERP market and provide a wide variety of services including: consulting, customization, interface development & integration, implementation, on-site and remote support and training services. Since 2000, Arena has provided innovative companies with a product lifecycle management (PLM) solution that increases speed of prototyping, reduces scrap, and streamlines supply chain management. We invented cloud-based PLM that enables manufacturers to deliver quality products on time and on budget. Arena provides a collaborative environment for centralizing, controlling, and analyzing complex and constantly changing product information including bills of materials (BOMs), part specifications, and change orders while collapsing time to market. Our customers include GoPro and Nutanix. Rootstock Software now partners with Avalara, a leading provider of sales tax and compliance automation services in the cloud. As a result of this partnership, customers now use AvaTax’s capabilities within Rootstock’s robust Sales Order Management app to automatically calculate the final sales tax amount on every invoice. This eliminates the tedious work and complexity of calculating taxes across multiple jurisdictions and helps businesses focus on their core offering. Since its founding nearly a decade ago, Avalara has pioneered the service-based platform for tax automation and emerged as the dominant player in this market by leading the automation effort for financial, ecommerce, POS and mobility applications for businesses. Today Avalara’s SaaS solution provides a complete set of transactional tax compliance services developed specifically to serve the needs of small to mid-sized businesses. ComplianceQuest is the fastest growing, 100% cloud based Enterprise Quality Management System (EQMS) natively built and run on the Salesforce platform. Delivering best-in-class out-of-the-box solutions, ComplianceQuest fast-tracks an organization’s efficiency, safety and overall performance by combining enterprise quality, compliance, collaboration and communication across the product value chain. Suitable for emerging growth companies and scalable and flexible to meet the needs of medium and global enterprises, ComplianceQuest is easy to implement, validate and use. The ComplianceQuest team of domain experts is committed to innovation, product excellence and to the success of our customers. Rootstock partners with FinancialForce to deliver a native end-to-end supply chain and accounting solution for salesforce.com customers. FinancialForce is focused 100% on building business applications for force.com, the leading cloud computing platform from salesforce.com. Their applications include Cloud Accounting, Billing, Professional Services Automation (PSA), and Services Resource Planning (SRP). FinancialForce serves the SMB and enterprise markets, helping them align Finance, Sales, and Service in a way that enables profitable growth. Serving for over a decade and recognized by our customers worldwide for our high-quality IT Services, HiBiz is proud to partner with Rootstock. Our global delivery team in the US and India has deep expertise in ERPs and on Salesforce platform. We specialize in product development, business processes, customer support, customizations, integrations and implementation. We put our customers first and tailor our solutions and delivery models to fit into their budgets and schedule. Our engagements focus on quality, consistency and certainty. We are passionately aligned with your goal of achieving positive business outcomes from your technology investments. PropelPLM has developed the first and only Product Lifecycle Management (PLM) solution built 100% on the Salesforce platform. Propel helps manage all the hardware, software, services, third-party products and customer information that define today’s products. When it comes to Manufacturing, Propel helps manage complex products with embedded software, ensures suppliers, distributors and partners are always in sync, and manages product information after initial installation. 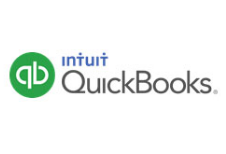 Intuit offers the popular Accounting software package, QuickBooks, with both Online applications and Desktop versions. Geared mainly toward small and medium-sized businesses, QuickBooks accepts business payments, manages and pays bills and manages payroll functions. Rootstock has developed “integration” tools that facilitate the transfer of financial data to their online and desktop product offerings. Revenova is a cloud application provider of transportation management solutions for shippers, brokers and 3PLs. Revenova TMS is a multi-modal transportation management system for manufacturers that runs natively on the Salesforce1 platform enabling seamless operation with Rootstock and all Salesforce Apps. Easily plan, price, optimize, book, tender, track and trace loads across carriers and modes. Automatically spot rate shop or apply contract rates, audit freight bills, manage claims and link directly with Sales/Service/MRP/ERP/WMS data and processes. Manage all your carrier relationships more effectively. Quickly identify, evaluate, on-board and pay carriers. Automatically monitor compliance with Federal motor carrier regulations and internal performance standards. Deploy customized web communities for real-time customer and carrier collaboration on freight shipments. Rootstock utilizes Sage Intacct’s API’s (Application Programming Interfaces) to automatically create the appropriate recording of the related financial transactions in the accounting system. Sage Intacct is the only cloud accounting software company to be appointed a preferred provider by the AICPA (American Institute of Certified Public Accounts). In use by more than 10,500 businesses ranging from startups to public companies, Sage Intacct’s software is designed to improve company performance and includes accounting, contract management, revenue management, and project and fund accounting, among other applications. Rootstock is now available on the AppExchange by salesforce.com, the world’s most popular marketplace for business apps. Whether a small operation with as few as five users, or a large organization with many divisions and sites and hundreds of users, Rootstock offers the SaaS solution for all sizes and types of discrete manufacturers. Built on salesforce.com’s Force.com platform, Rootstock’s Manufacturing Cloud solution includes out of the box integration with salesforce.com’s Sales Cloud and FinancialForce.com’s accounting suite, Mobile (iPad2) accessibility, and uses Chatter as a key communication mechanism. These integrations provide a complete and flexible solution for manufacturers with shorter implementations, lower costs and quick return on investment. Requiring dramatically less resources, Salesforce.com, FinancialForce.com and Rootstock allow you to recoup your investment quickly while delivering a robust manufacturing solution with improved visibility and enables you to be more responsive to changing customer needs. Zenkraft builds Salesforce applications for shipping, allowing customers to increase operational efficiencies, process shipments, generate labels and track packages using Chatter. Their applications for FedEx, UPS and USPS will simplify common shipping and business needs. Rootstock's future looks great as more companies move some or all of their on-premise apps to the cloud to improve efficiency and flexibility and to reduce costs.